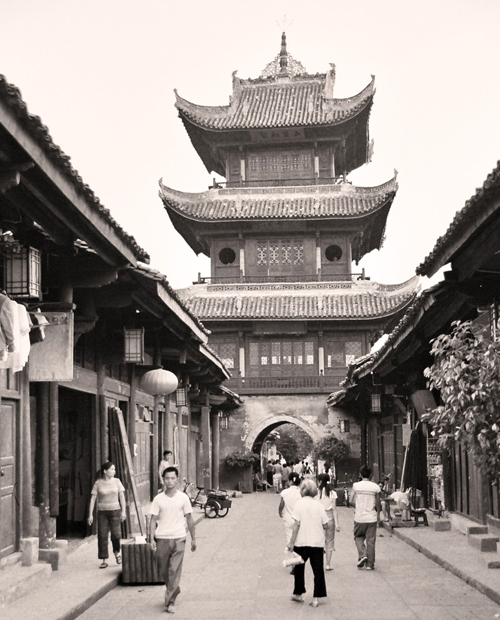 This small town, with a big history, is situated on the banks of the Jialing River, some 225 kilometres from Chengdu (Sichuan Province). 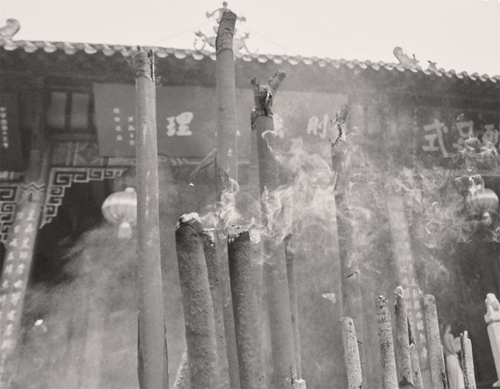 It is all at once the burial place of the Three Kingdoms general, Zhang Fei, birthplace of the Han dynasty inventor of the Chinese Calendar, Luo Xiahong, and home to a wealth of traditional Sichuan architecture. 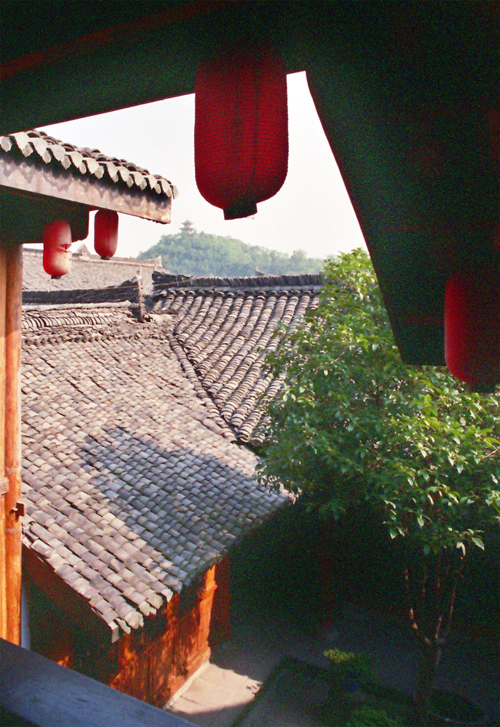 In short, Langzhong has plenty of things to see and do to keep a visitor busy for two days. Your first priority on arrival is to find accommodation in one of the many traditional family mansions that are situated in the heart of the old city. 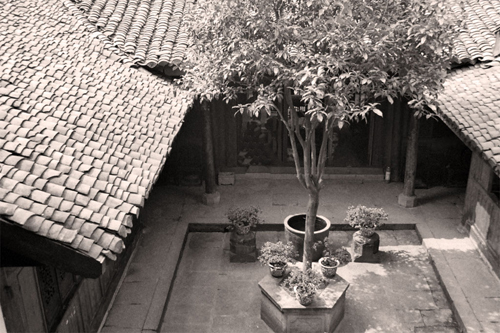 We settled for the atmospheric Dujia Kezhan 杜家客栈, a Tang dynasty inn, though all the mansions, regardless of whether you are staying in them or not, are worth a visit for their traditional architecture and magnificent courtyards. 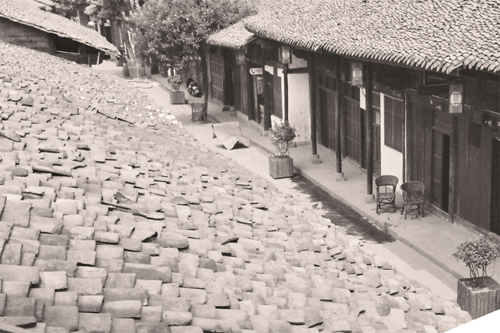 Langzhong’s old city architecture is based on Tang and Song dynasty style courtyard houses topped with the famed southern style grey-tiled roofs and upturned eaves. 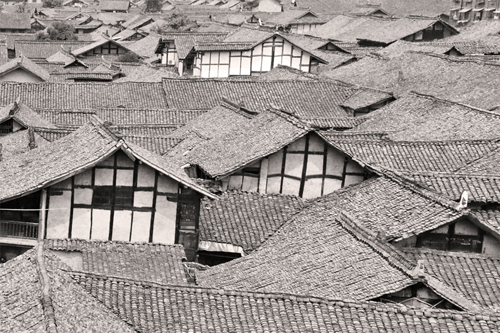 Most of the standing buildings were built during the Qing dynasty 1644 -1911. 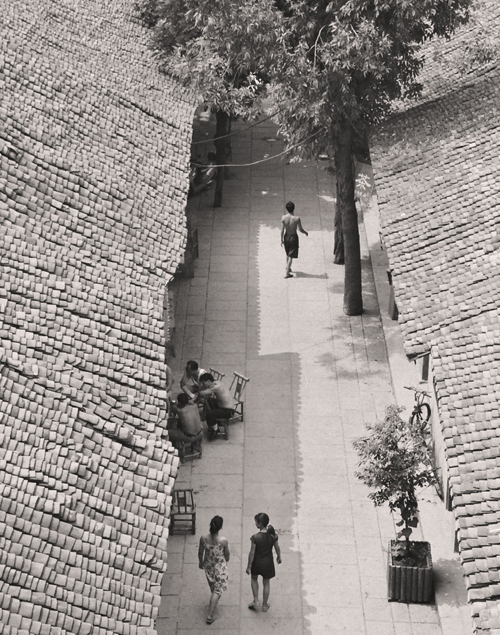 After checking in, just walk down any of the old streets and soak up the atmosphere. It won’t be long before you’ll get the eerie feeling that you may have landed in a time warp. On your way, you will pass tiny, wrinkled grannies staring at you in wonder and disbelief (maybe they won’t be so surprised now) from the low doorways of rickety little houses. There are simple, one-window grocery shops selling a few daily necessities and pot-bellied, bare-chested men playing cards on the steps. 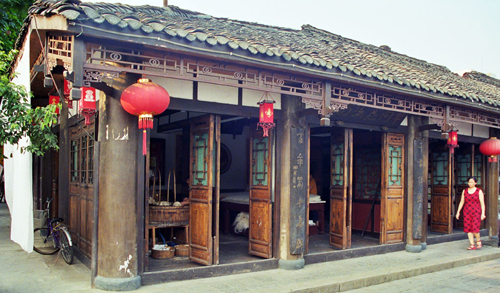 Many of the old houses are entirely made of wood and some of the larger buildings house traditional workshops for the production of vinegar, traditional stuffed mattresses and quilts, or the carving of tombstones. 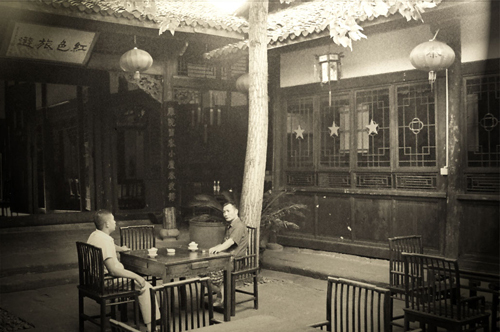 A couple of simple eateries and living-room sized teahouses complete the picture. 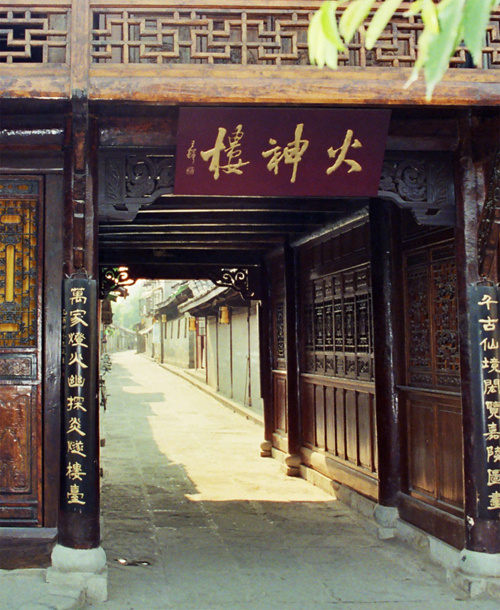 The history of Langzhong’s ancient streets and lanes is mirrored by their names. 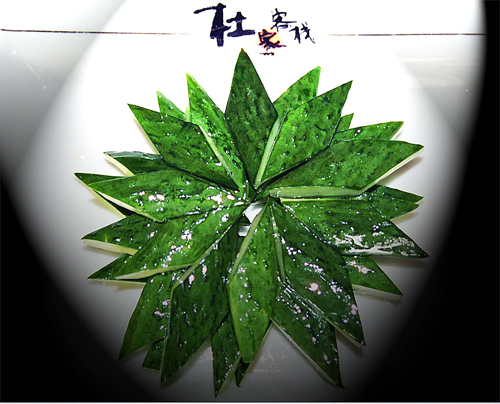 For example, “Zhuangyuan (top examinee in the imperial examination) Street,” “Bixiang (Writing Brush) Street,” “Cufang (Vinegar Workshop) Street,” and “Gulianzi (Ancient Lotus Seeds) Lane. 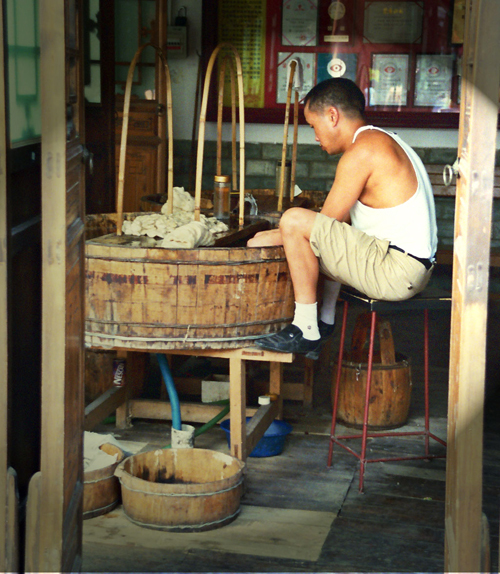 Just when you are almost convinced that you have really been transported back in time, you will most likely bump into a couple of tourist shops (probably a lot more now), selling arts and crafts, as well as the local culinary specialties, such as the famous Zhangfei Beef, Baoning Vinegar (Baoning was another name for Langzhong during the Yuan and Ming dynasties) or liquor. The vinegar is often drunk as a beverage by locals and said to have curative properties. Having firmly landed back in the 21st century you should probably head for the river. By late afternoon you can follow behind groups of adults and children, wearing modest, old-fashioned swimming costumes and carrying rubber tyres and all kinds of floaters, about to have their customary dip in the murky brown waters of the Jialing river. Though the colour of the water is not very appetizing, when temperatures start hitting over 40 degrees centigrade, the prospect of a refreshing bath almost becomes appealing. Almost! A cold beer on one of the terraces that start setting up around 7 o’clock may well be the safer option. This part of the river front has recently been developed and a whole row of newly-built, traditional style houses have been erected, all serving as bars and restaurants. Though this may sound grim, it’s quite good fun actually, especially later in the evening, when the terraces fill up with locals and tourists alike, munching away happily, having a good time. These places do some tasty snacks and are probably your best bet if you want to get something to eat, any time after eight. 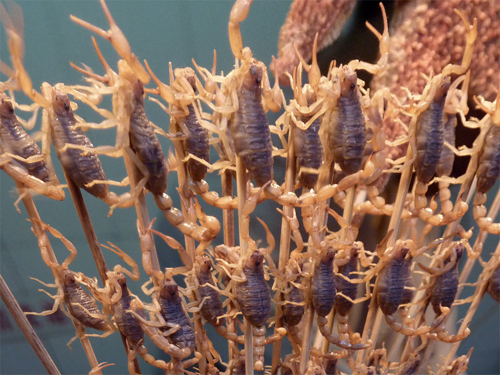 We must admit that we weren’t so keen on the fried insects; crunchy worms, beetles and other wriggly-maggoty looking things, which we accidentally ordered. It’s not that they aren’t tasty. The initial chili and soya sauce flavor released by munching on the crispy exterior shell is quite pleasant. 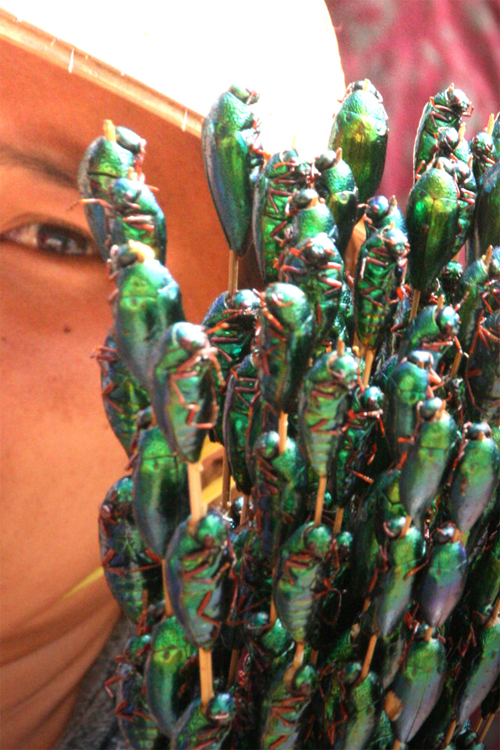 It’s when you get to the soft spongy underbelly of the insect and the texture turns chewy and gooey that the experience becomes less agreeable. Watching your partner picking legs and wings from between their teeth probably means you’ll refrain from ordering seconds. However, the proprietors of the restaurant never desisted from promoting the medicinal properties of their fried critters. 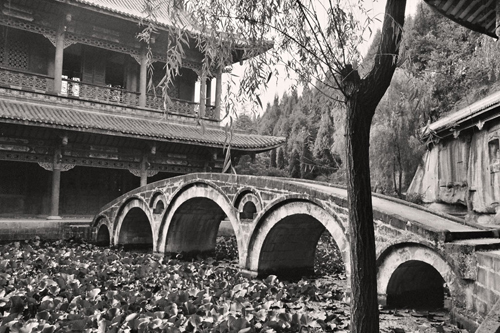 There are still plenty of sights left, to take up your second day in Langzhong. 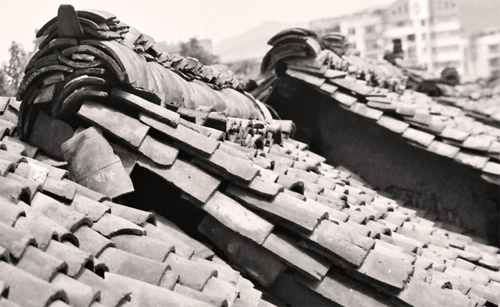 You could start the day by climbing the Huangguang Lou, the old watchtower near the river, which offers fantastic views over the grey, tiled roofs of the old city, the river and the surrounding countryside. 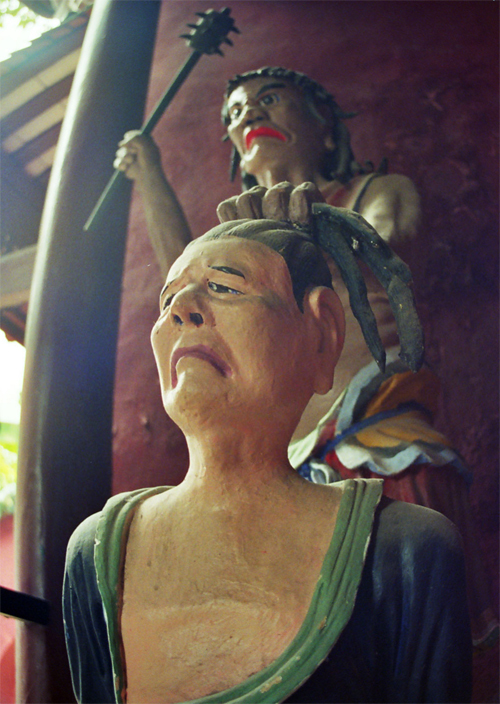 Next, you could take in the Zhang Fei Miao, or Zhang Fei Temple, which holds the tomb of the famous general, as well as colourful and gruesome pictures and statues, depicting his life, and more aptly his death and bloody murder, at the hands of two of his own men. 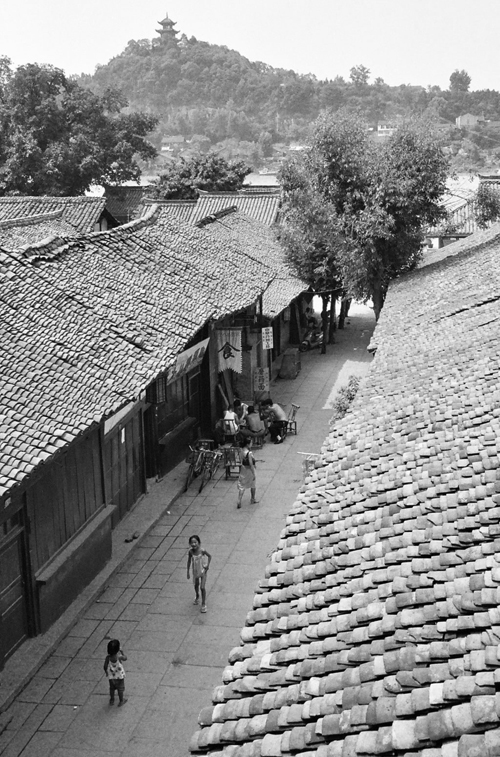 The Gongyuan, an Imperial Examination Hall, and one of only two still standing in China, is the last important monument in the old town. It’s a rambling, mostly empty place, with some impressive red-pillared galleries. 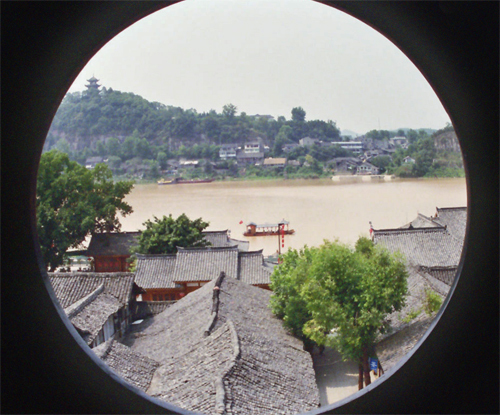 If you’ve still got some energy left, you should take a taxi (a mere 5 to 10 Yuan) to the other side of the river, where there is a scenic area with a couple of interesting sites. 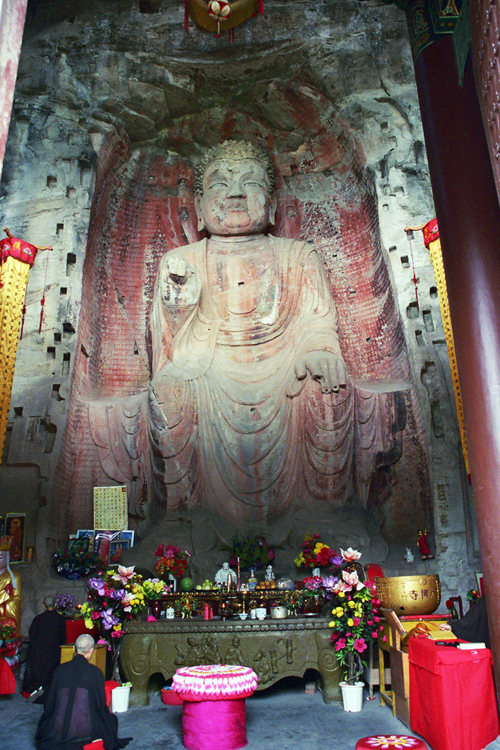 To the left of the parking lot, there is a ticket booth that gives access to a park, whose highlight is the Dafo Si, a temple built into the rock, with an impressive, ten-metre-high Tang dynasty statue of Buddha. 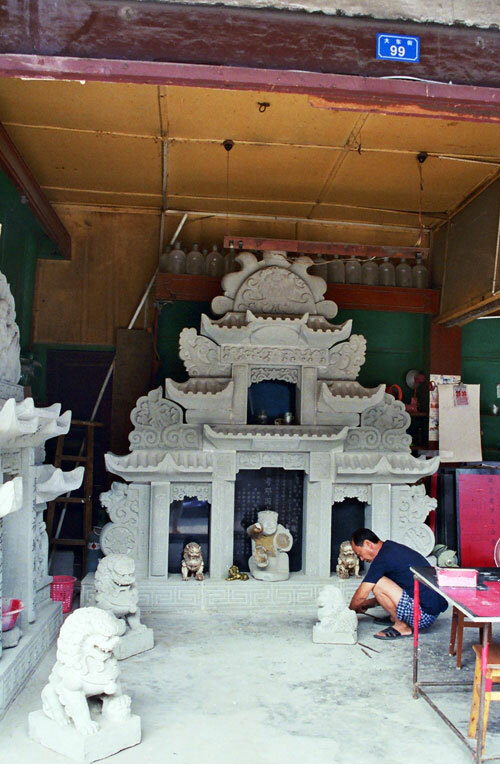 There are countless other carvings, temples, pavilions and viewpoints to keep you busy for a while. Finally, to the right of the parking lot, a narrow path through paddy fields, leads to Scholars cave, where two court officials used to study in their youth. 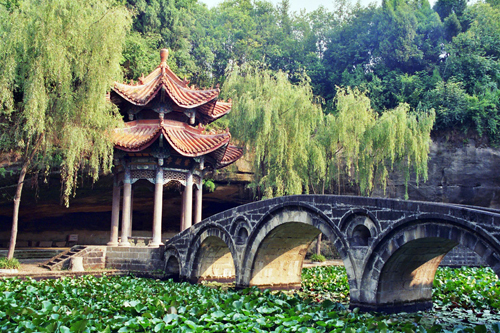 It is a peaceful spot, set in a beautiful garden, featuring willow trees and an arched bridge over a lotus pond. Mind your step here as the slippery green stuff, covering the stone floor of the cave, can be quite treacherous! One final word of warning: it’s probably worth your while asking your taxi to wait; otherwise it’s a long, hot and dusty walk back into town. 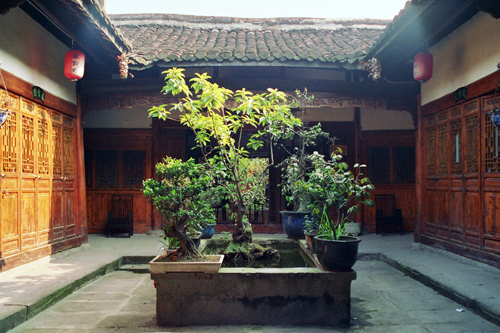 When you are exhausted and can’t face another sight, don’t forget to pop into the old teahouses in the courtyard houses and chill for a while. Some serve cold beer as well as tea. Expect things to have changed. 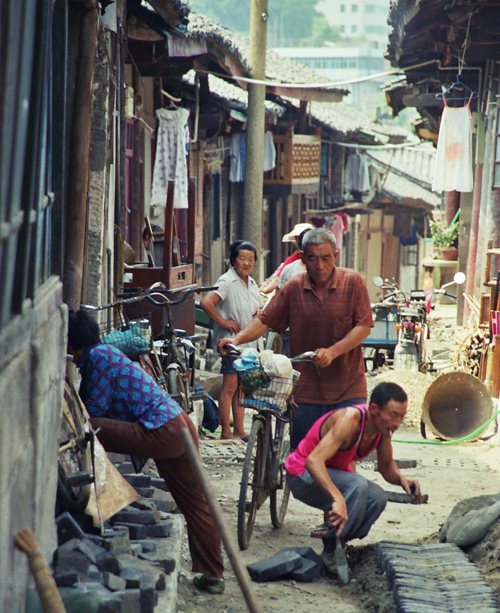 When we visited, Langzhong was a relatively unspoilt and sleepy town. Chinese tour groups visited on weekend mornings, but disappeared by the afternoon. However, the local authorities seem to have grasped the tourist potential of the place and new developments are well under way. 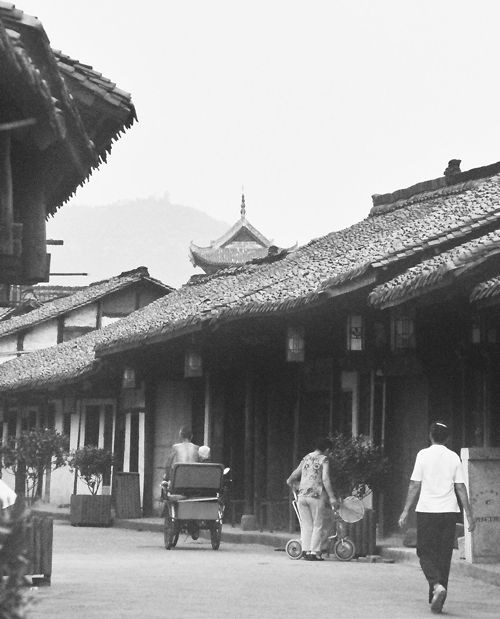 At the moment, these developments are limited to a two-kilometre stretch of shops, terraces, teahouses and small restaurants along the riverfront, which are all being built in traditional style. When finished, it could actually be quite nice. So far, there are no tickets for entering the old city, but obviously there are tickets to visit the various monuments, including a multi-ticket that covers everything. The mansions, with their simple, but clean wooden rooms, complete with creaking floorboards and traditional furniture, offer a great opportunity to stay in an authentic, historical building, full of character. 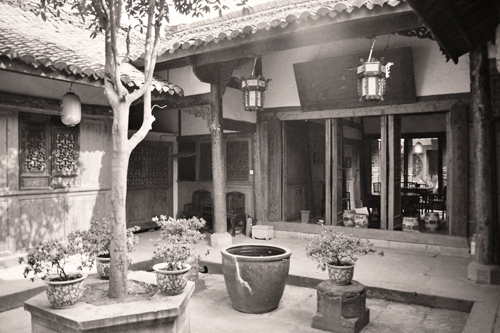 We stayed in the Dujia Kezhan, a Tang dynasty inn, where we paid 150 Yuan for a double with bathroom at the weekend. Discounts may be available on weekdays. The only drawback to atmospheric wooden rooms is the, potential, presence of spiders, which might put real arachnophobes off. In this case, however, they were of bearable size and appearance (meaning smallish). You don’t really have to reserve a room in advance. There are a lot of nice Inns in the old city. It is probably better to visit the inns and pick a good room as quality varies. The restaurant at the Dujia Kezhan serves some pretty good grub when open, but opening times are temperamental and don’t seem to include evenings. 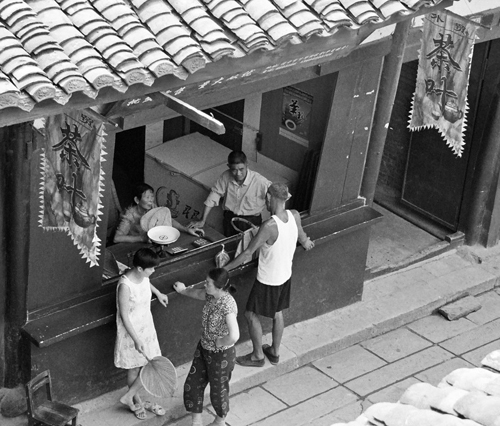 Apart from the restaurants and terraces by the river, there are a couple of simple, noodle and snack restaurants in the streets between the old city and the bus station. There are regular buses between Langzhong and Chengdu, Chongqing and Guanyuan. From Chengdu, buses leave from the Beimen bus station, every 45 minutes. Most of the journey is along a new motorway and it takes about 5 hours. Huanglong National Park or Ziushaigou? Please advise. Thank you. It seems you can get to Jiuzhaigou from Langzhong via Guangyuan. 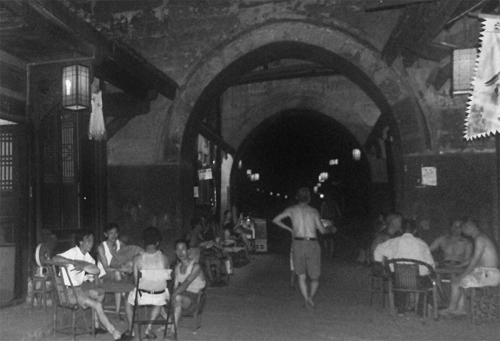 It might take you two days as you will need a connecting bus in Guangyuan that will probably leave in the morning. 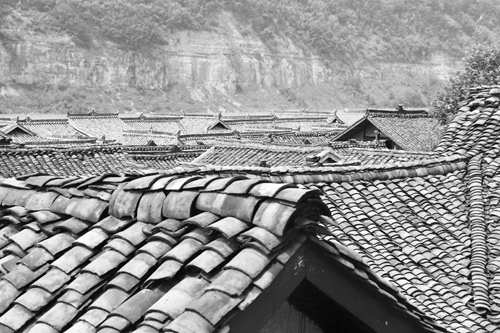 I understand that the road passes through a number of ancient towns and beautiful scenery. However, I have heard that it is a windy and long route and the road is not the best. If you do take this route I’d love to know how it is.